a thing that a person or group does or has done. 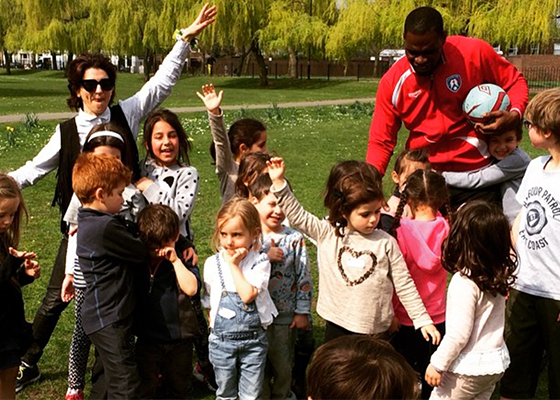 "the children enjoyed their activities during the Easter holidays"
Welcome to the new edition of our weekly Kinfo newsletter! We hope that last week's recommendations helped you to plan ahead for the holidays (click here to see last week's newsletter). Today's instalment offers more. 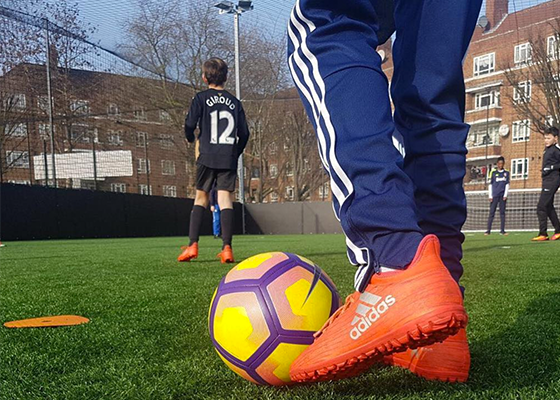 More of the best indoor and outdoor camps and clubs recommended by parents on our app. Perhaps you don't have the time to research the best activities around. If so, let Kinfo be your fountain of knowledge. And while you're browsing, feel free to share your kids' favourite things with other parents, too. Recommended by a mum, for ages 8 and upwards. A few 'all levels' slots are still available over Easter weekend, including Easter Day, at North Greenwich. 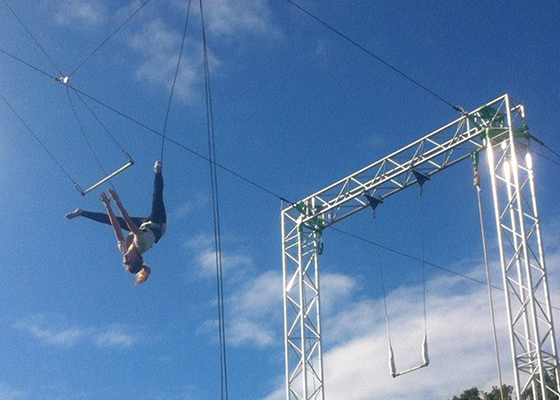 Students practise on a low bar before swinging on a trapeze. (Note, the school moves to Regent's Park in May). From £26 for two hours. Bookings here. Full day camps for 4-18 year olds, recommended by a mum of 2, where kids take part in cooking, art and crafts, yoga and outdoor sports. All instructions are in French. Easter all day camps are running April 3rd-7th. Book here. 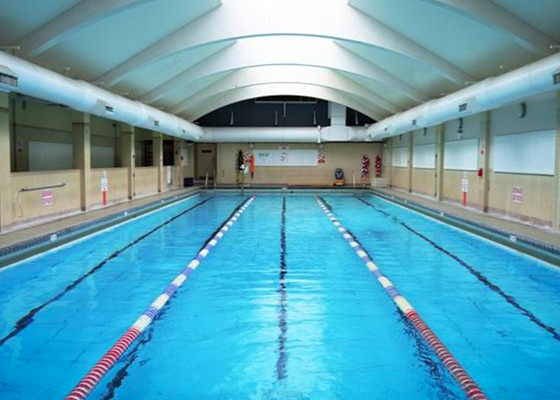 A mum with 4 kids literally gives this swimming pool the "thumbs up". Call 0333 005 0416 to book a course of five 30-minute lessons (start at under 5). Skateboarding is big news. Entertaining tourists along the South Bank. In films. On catwalks. There's even a section on American Vogue's website on what to wear. The movement is buzzing. 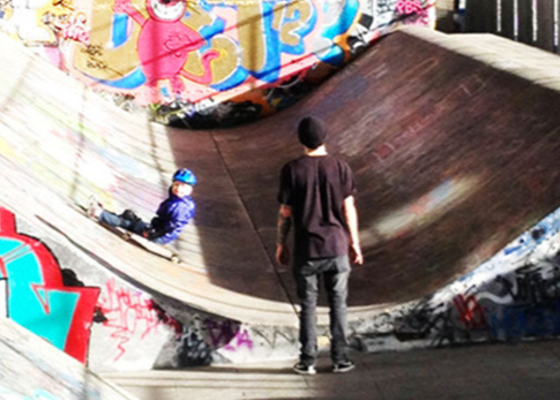 So here’s another great London camp this Easter for 6-14 year olds, where one son learned “how to push off, go down ramps and do tricks” according to his mum. Sessions run at Royal Oak and Westminster. Book here. All-day camps with “well organised, professional coaches,” according to a mum of a regular visitor. Price wise they are unbeatable. Kick off is at 9.45am at several west London grounds (early drop off available at some locations). 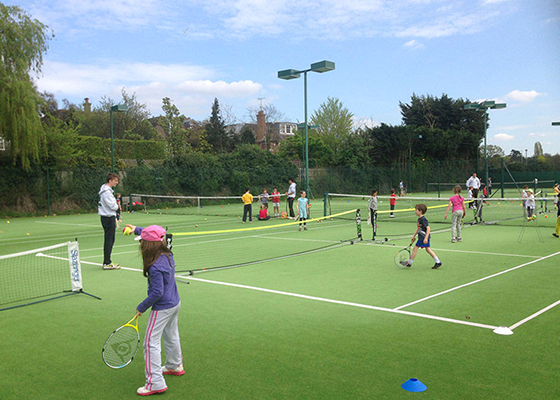 Boys and girls enjoy coaching, competitions and on Fridays, various tournaments to boot. (Sorry). Booking info here. “Sweet place,” says the recommendation on the app. In other words, it's small. 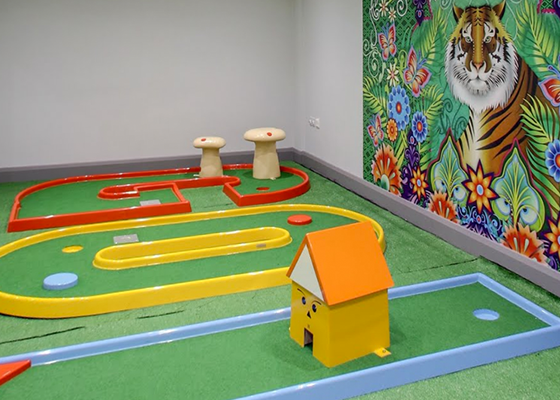 But the entertainment looks fun with karaoke, mini golf and two Escape Rooms. Plus from 3rd-7th April the kids can be dropped off for a day of activities, arts and crafts, £35 per day inc. lunch and snacks. “Such a green, wonderful idyllic escape from the city,” raves one mum about these tennis all-dayers. “Wonderful instructors and a safe, friendly environment.” Book here. 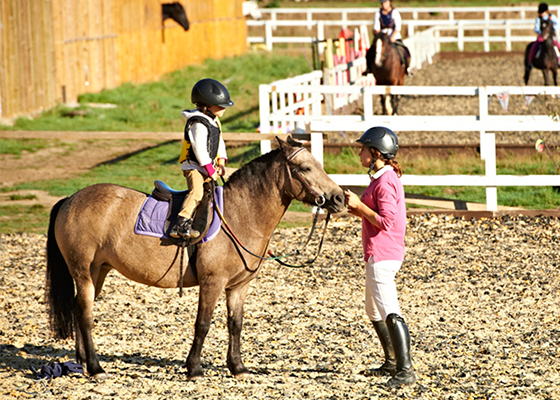 Easter will see a couple of 4-day "Pony Week" courses (one week has sold out already) at this “much-loved, idyllic setting” horse riding centre at Richmond Park. Book here. 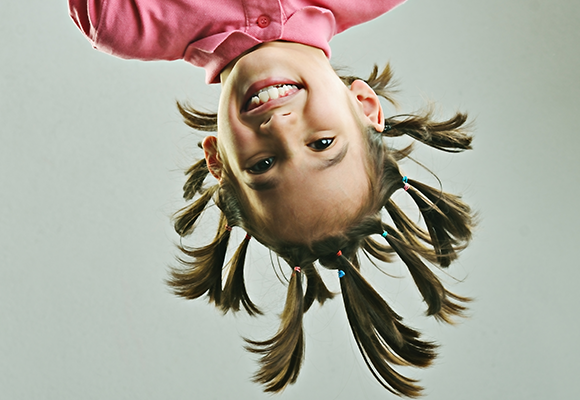 Build up a portfolio of your child's art to shout about. Or just frame and hang one in the kitchen. Famous works are recreated using painting, drawing, ceramic and printing techniques. "A brilliant inspiration for kids," said this mum. Situated at the northern end of the Northern line, sessions cost £35 for 3 hours. Includes materials and snacks. 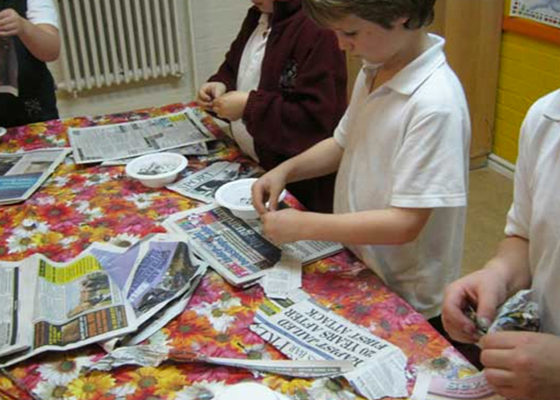 Easter classes will cover landscape, optical illusion art, pop art, Hockney and medieval dragons. Book here. Do you know a camp or a class that your kids love going to during their holidays? Share it on Kinfo – not only will you help other parents who are looking, but you will automatically enter our competition to win a one hour massage! Eggtivities for Easter Holidays. Tested.